Mauricio Castro has a quite different approach to sacadas showing just fragments of explanations and presenting most of the information as lists of steps, footprints and arrows leading our steps through the process. 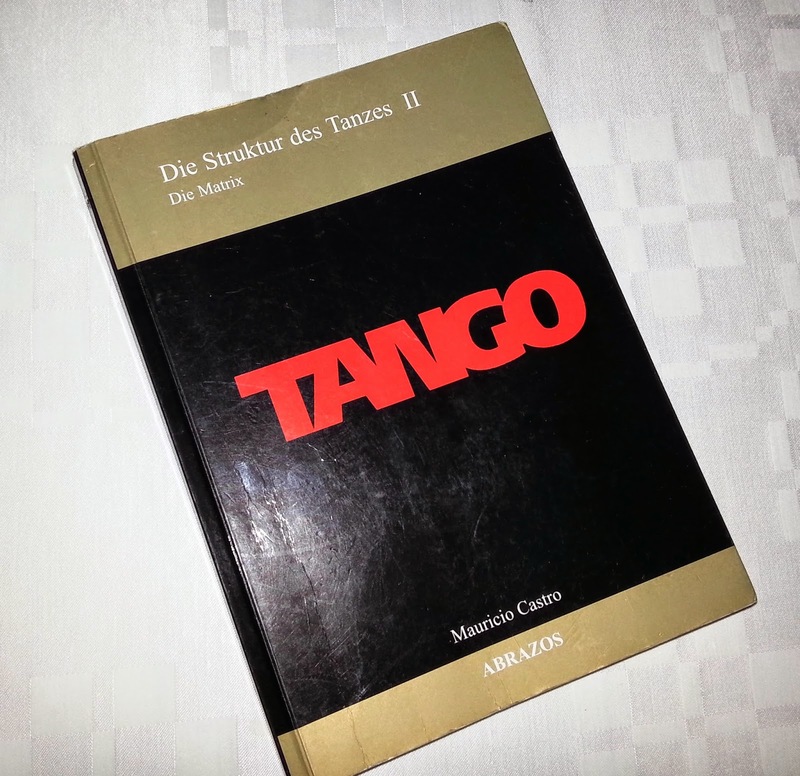 He agrees with the other authors and his opinion is that the visual expression is an illusion so no one is kicking or nocking off the leg of the partner. He explains that the effect is based on synchronization of different movements. The easiest way to find the flow for sacadas is to focus on the exchange of places during the performance of sacada. He finds this far better than searching a way to send the partners leg away. Forward sacadas: The sacada step can be an opening or a forward cross. 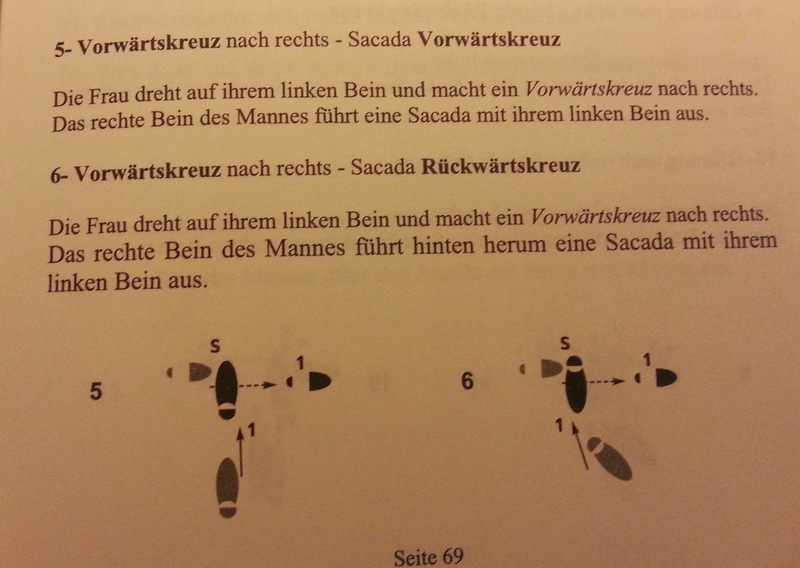 This theoretical presentation of sacadas gives an easy way to count the number of possible sacada variations, a possibility attracting my brain a lot! We have now 3 kinds of sacada steps for a leader, these steps can target 3 kinds of follower steps, which can be performed to left or right, giving us 2 more possibilities. Totally 18 sacadas for a leader. If the leader decides to let the follower do all these sacadas we get 18 additional variations. So with these steps you can perform 36 different sacadas! In these tables you find the first 18 sacadas for the leader. To understand the actual movements when looking at the sketches is as challenging as to sing while you are looking at the dots of sheet music. If you take that challenge your will boost your inner world of movements but for us others: Please find some help via the pictures below! In these three pictures I am moving to the left and you see the movements from leader angle. In this way we get the Counter Clock wise giro steps. The blue ribon is a symbol for the follower step. II. A side step with the right leg. The sacadas are entered on or beyond the right the blue ribbon which is symbolizing the follower step. The follower is moving to left. When the follower is moving to the right the option to place the sacada is from the departuring spot on the left nearly up to the right end of the blue ribbon, the length of the followers step.